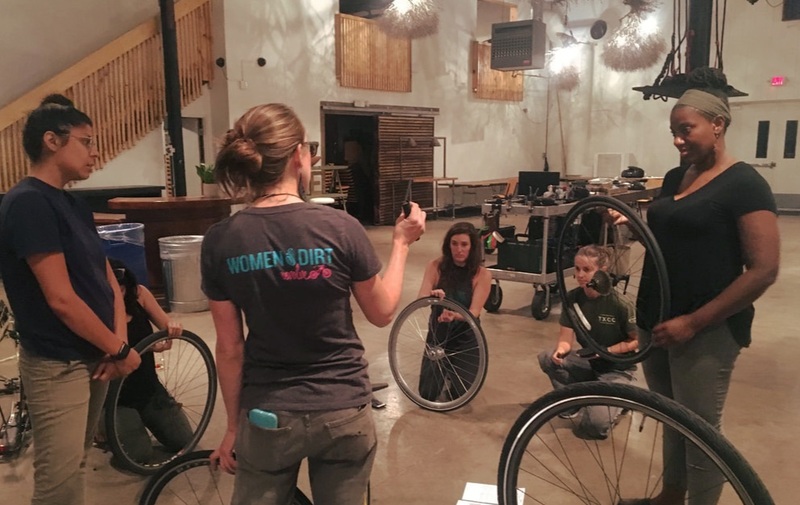 Bicycle maintenance workshops for (and taught by) folks who identify as Womxn/Trans/Femme (WTF*). *WTF includes people who identify as female, trans, intersex, queer and non-binary. If you aren't sure if the "WTF" label includes you, please contact us! Vie Cycle empowers people to do more than just fix bicycles. By practicing skills in a safe and inclusive environment we hope to encourage more riding, Do-It-Yourself projects and continued exploration outside of the workshop. Vie Cycle puts tools in your hands and gives you the opportunity to try, make mistakes and learn. Half of the class time is devoted to skill building and experience. You will be working together, teaching each other and learning from one another. As we discover the depth of bicycle culture, you'll find out how to connect with your local cycling community. Disclaimer: Vie Cycle courses are not a substitute for a professional training course. 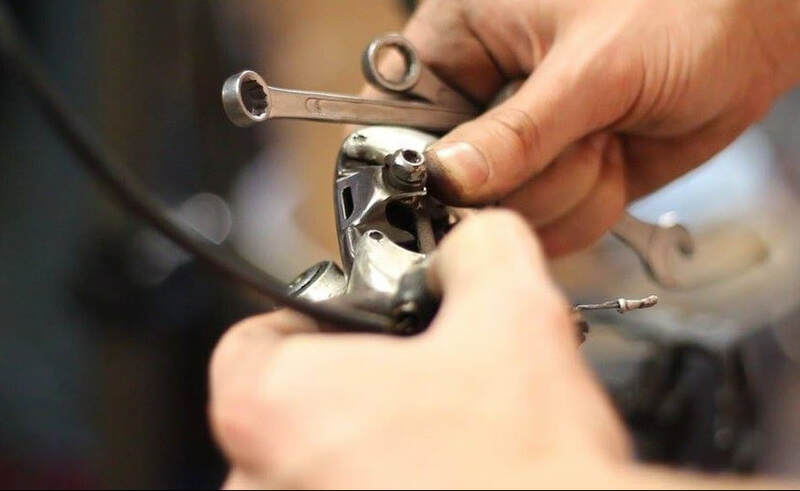 The purpose of these courses is to make bike knowledge more accessible by instructing basic skills in a way that builds confidence, competence and community. There are a handful of countries that get it when it comes to biking; places where skirts, children, road conditions and male-dominated bike culture is not a barrier to entry. Unfortunately so much of what we see of cycling culture is the spandex-clad Tour de France sprinters...elite bikers. If you don't identify with the riders that you see, it's hard to image being a cyclist yourself. If you're worried about your bike breaking down on a long ride, or feeling vulnerable on the roads, you probably bike less than you'd like to. 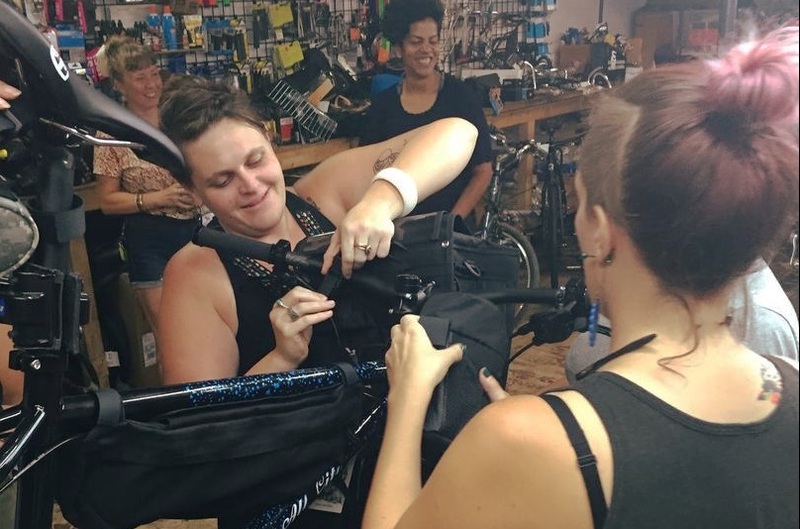 Vie Cycle's mission is to empower women+ to build confidence, competence and community through bike maintenance. We want more people to ride bikes because they're a sustainable transportation option that has the power to positively impact people's minds & bodies, as well as our environment & the economy. We also acknowledge that there are many barriers to biking, one of which is a lack of representation for WTF cyclists. In order to make cycling more accessible to everyone, Vie Cycle is focusing on making a safe space for WTF folks to learn bike maintenance skills and build community. We hope that by creating this space and elevating WTF riders, we'll be able to transform bike culture, making it more welcoming and accessible to all riders, no matter your gender identify, skin color, body type, age or interest. What does Vie Cycle do exactly? Through experiential education techniques, discussions and group activities we teach bike lingo, anatomy, essential maintenance skills, and how to fix things when you're in a pinch. The workshops are focused around empowerment and confidence building. We have discussions about safe riding habits, fitting your bike to your unique body and how to access cycling communities in your area. Vie Cycle often teams up with cycling clubs, women's organizations, schools, bike shops and small businesses to promote community building. Support Vie Cycle by donating to the Free Courses Fund. Find upcoming courses and events in your area. Read our Words From the Road blog and share your opinions about bike culture. Explore the resources page to learn about the rules of the road, great cycling gear, the history of women & bikes, AND MORE! We're giving away awesome gear from April to August. Click the button to get in the game!